While staying in Georgetown this weekend, I discovered that I had very limited options for dining gluten free. I called several places to inquire about gluten free options, and I would just like to say that the River Room was the most helpful and seemed to be the most knowledgeable about gluten than any of the other restaurants that I called. I’m sure it is a nuisance for restaurants to cater to special dietary needs, but for people like me it is not a choice and it can be challenging at times when traveling. 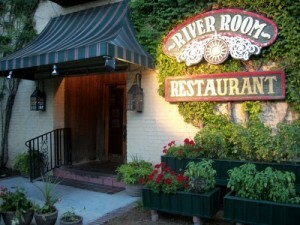 Not only was the staff at River Room helpful over the phone, the servers on both nights that I ate there were also very helpful. I had the grilled chicken once and then the grilled grouper. Both meals were delicious! I just wanted to express my appreciation to your staff for their helpfulness and for taking the extra time and effort to accommodate my needs.